Did you know that our Meals-on-Wheels program is part of a continuum of services that contributes to home care, like cleaning support, health care service, pharmaceuticals deliveries, etc. The people that use these services are often, seniors, post hospitalisation patients, those who suffer from degenerative disease, mental health challenges or have reduced mobility. Staying at home is a less costly alternative for the people concerned , the government, and the CHSLD or seniors residences. It can also the most desired and comforting solution of all. A person living with a loss of autonomy needs more than ongoing services that keep them alive and well, and living at home in dignity. A high level of social interaction and the feeling of being part of a network are essential for the person well-being. That’s why at the Roulant we put so much emphasis on door-to-door interactions between clients and volunteers during deliveries, and the integration of meals-on-wheels clients to our social activities and outings. Community Care comes from uniting the elements of home care and social integration, so that a support system exists for people not only to live in their homes, but to be connected to and supported by their communities. Community Care can also serve as a preventative measure for some of the most vulnerable clients. For example, a daily check-in from meal delivery volunteers is an opportunity to make sure that our clients are safe and doing well. On rare occasions, this regular visit has allowed us to find someone who had fallen on the ground for almost 24 hours and who would have otherwise been incapable of calling emergency services. 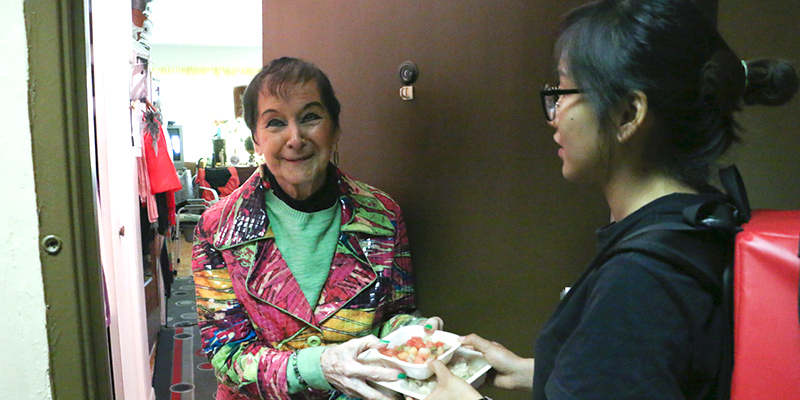 The Roulant also offers 3-4 social inclusion events per year, where our clients are invited to have a meal and talk with volunteers – they are offered transportation to and from their homes. The more active clients may also choose to join in a multitude of activities offered by the various programs within the organization. Here’s a video about Community Care (in French) where the organization COMACO addresses community support in light of International Day of Older Persons. COMACO‘s mission is to promote community support for seniors; they have almost 80 group members, including the Roulant. 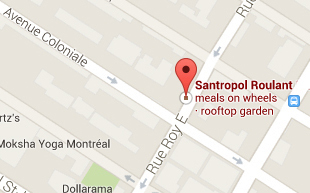 If you have any questions about our meals or our service, please contact kateri@santropolroulant.org or call 514-284-9335.